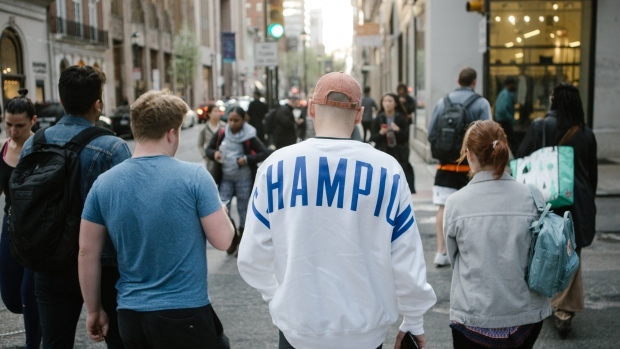 (Bloomberg) -- On a recent Tuesday at the newly opened Champion store in Philadelphia’s Center City, the brand’s oversize red, white and blue “C” is everywhere: across the chest of thick cotton sweatshirts, down the sides of track pants and on the front of baseball caps. A couple of 20-somethings sift the clothing racks during the lunch hour. They drift through the aisles like wandering billboards.